I really love the design of this shower set. The oil rubbed bronze finish is amazing, though it looks a lot more brown than what I expected at first. Still, it is beautiful and I actually think it's more beautiful that what I had hoped for. The shower set is as complete as it gets, which made me love this even more. When we saw the original price of this thing, we were almost ready to change our minds. Great thing it came on sale, and were able to save almost $1000 on it - how cool is that? 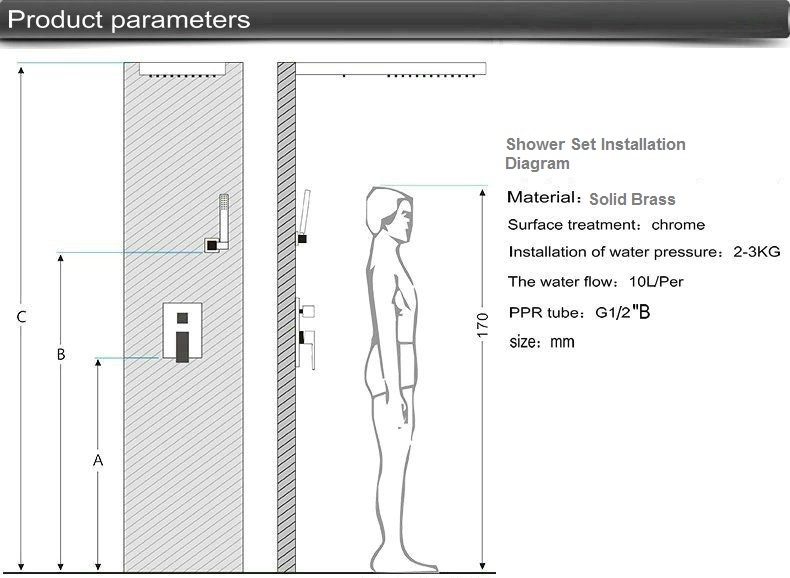 This shower set is exactly what we wanted, and we are really pleased with how it works. Installation was easy and well, and the delivery timely. Great product overall and highly recommended. This shower set looked excellent in the image, and after reading the product description, I decided to place an order for one. After opening the package and having it installed, I have to admit that I am impressed - except by the handheld which seemed to be smaller than what I'm used to. Aside from that though, I don't see anything else to complain about. The body jets work great, the water pressure is consistent, and the finish looks solid and one that wouldn't fade away easily. This whole shower set is just beautiful. Love everything from the design to the functionality. The bronze finish looks stunning, although I find that it is a bit darker than the kind of bronze I am used to. Still though, it looks great and complements all our other bathroom fixture. The shower jets are just amazing. This is actually the first time I used shower jets, and I must say, it was a totally new experience for me. Thumbs Up!